Don’t cut the anchor line! A large number of churches have reportedly embraced atheist calls for Christian congregations to celebrate “Evolution Weekend”.1,2 But do the pastors of those congregations know what they are doing when they proclaim from their pulpits that the theory of evolution is “a foundational scientific truth”? Rather, I’m speaking of pastors who remain committed to being faithful disciples of Christ and who similarly exhort their flock to hold fast to Jesus as their Rock, as their “Anchor”, through life’s storms. Do those pastors realize that by accepting evolutionary teaching as being fact, they might actually be cutting themselves and their flocks adrift from Jesus? The ability of many parishioners to cope with the mind-boggling mental gymnastics needed to have real people being the offspring of metaphorical ones is not limitless. And when the cords of credulity finally snap under the weight of all that inconsistency, the most likely outcome is to doubt the reliability of the New Testament itself. Perhaps Jesus’ Resurrection is itself only metaphorical? Many liberals fudge and claim that it really only means that His teachings live on in His followers’ lives. Pastor, don’t cut the Anchor line! Jesus clearly regarded Adam, Eve and Noah as real people in history (e.g. Matthew 19:3–6, 24:37–39).5 But if they were only metaphorical, that means Jesus was mistaken. An evolutionary timeline also means Jesus was utterly wrong about people having been around since the beginning of creation (Mark 10:6, Luke 11:50–51). So what else might He have been wrong about, and how can He be trusted with such grand claims as being the Way, the Truth and the Life—in fact, the all-powerful, all-knowing Creator Himself (John 1:1–3, 8:58, Colossians 1:16, Hebrews 1:3)? If there was no literal (real) first man Adam, and no literal (real) first sin, then death did not really, literally, enter the world through his actions. So then we do not literally need to be saved from anything, so why would we need a literal Saviour? In the face of evolution being taught as fact in state educational institutions, perhaps it’s understandable that so many pastors have surrendered their churches to “Evolution Weekend”. Presumably it is the pastors’ genuine (but misguided) attempt to somehow show that the church is rational and not out of step with modern science. If only such pastors could be made aware that there’s no need to “defile” their (and their parishioners’) love for Jesus with a philosophy that denies Christ was Creator. The Bible’s historical narrative can be trusted. 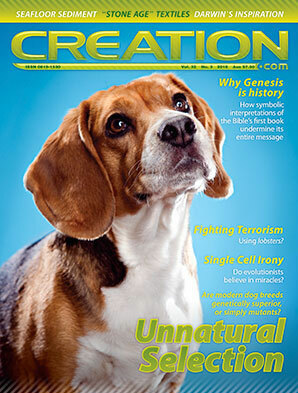 As the articles in this issue of Creation show, in the face of evidence—biological (see especially “Parade of mutants” p. 28), geological (e.g. 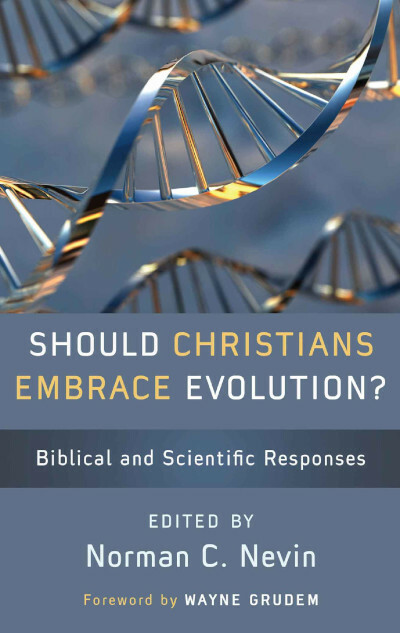 p. 52, and Tiktaalik’s demise p. 38), archaeological (p. 12) and cosmological (p. 34)—the evolutionary storyline crumbles, while the biblical account of origins makes sense. 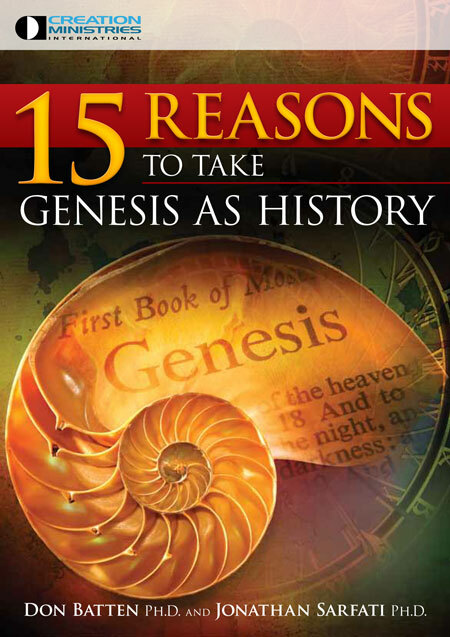 This is what you’d expect if Genesis means what it says—and it does, as our interview with Old Testament scholar Dr Robert McCabe affirms (p. 16). It’s through the written word in the Bible that we can know what the real Jesus said and did, and why it was necessary for our salvation. But if that link to our Anchor is cut, how can we draw near to Him? 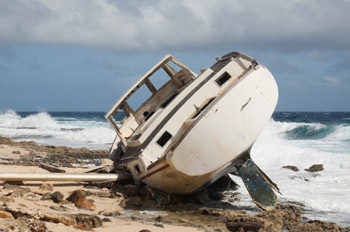 At risk of being “tossed back and forth by the waves, and blown here and there by every wind of teaching” (Ephesians 4:14), we are in danger of forgetting what the real Anchor is like, and why He died and rose again. Pastor, don’t cut the Anchor line! It’s just what “the enemy” (p.48) wants. Held annually on the weekend closest to Darwin Day, the anniversary of Charles Darwin’s birth, 12th February. About 12,000 pastors are signatories. Evolution Weekend—The Clergy Letter Project, theclergyletterproject.org, accessed 3 March 2010. The movement has spread beyond the US, where it was founded by atheist Michael Zimmerman. E.g. see Church of England apologises to Darwin. Return to text. Bates, A., Clergy Letter Project a circus, 3 February 2009; Sarfati, J., Church of England apologises to Darwin: Anglican Church’s neo-Chamberlainite appeasement of secularism, 20 September 2008. Return to text. See Bott, M. and Sarfati, J., What’s wrong with Bishop Spong, Apologia 4(1):3–27, 1995. Return to text. Spong is wrong (but he is consistent), Creation 24(2):15, 2002. Return to text. So did Christ’s chosen Apostle Paul, who linked them to the Gospels. See also Sarfati, J., Genesis: Bible authors believed it to be history, Creation 28(2):21–23, 2006; Cosner, L., The Resurrection and Genesis, Creation 32(2):48–50, 2010. Return to text. Atheist Richard Dawkins has himself highlighted the untenable position of compromising church leaders: “Oh but of course the story of Adam and Eve was only ever symbolic, wasn’t it? Symbolic?! Jesus had himself tortured and executed for a symbolic sin by a non-existent individual. Nobody not brought up in the faith could reach any verdict other than barking mad!” See: Dawkins on compromising churchians. Return to text.